FIFA made a decision following intense efforts by Jibril Rajoub, former terrorists and now head of the Palestinian Football Association, to have Israeli ejected as a member of FIFA, the world governing body for soccer or, at least, have Israel severely sanctioned. The issue was the existence of six Israeli football clubs playing under the auspices of the Israeli Football Association and who are located in Judea & Samaria. To Rajoub’s dismay, FIFA handed a huge victory for Israeli football against the failed efforts of Jibril Rajoub to kick Israel out of FIFA. 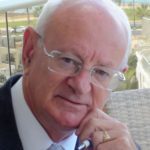 “The FIFA Council takes note of the documents adopted by international governmental bodies concerning the relationship between Israel and Palestine – such as United Nations Security Council Resolution 2334, which comprises recommendations without sanctions – but has decided that it should not take any position on their contents. 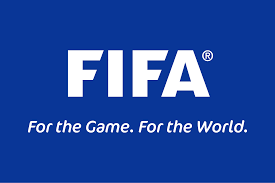 Any interference by FIFA in the status quo of football in the relevant territories without the consent of the parties concerned might aggravate the situation of football not only in the territories in question, but also in the greater region affected – which would not be in the best interests of the game. This was a victory for the internal diplomatic efforts of the Israeli Football Association FIFA delegates and the heavy lobbying that was conducted by Israel Institute for Strategic Studies, Palestinian Media Watch, UK Lawyers for Israel, the Lawfare Project and others, to the heads of the relevant FIFA committees to reject the malevolent claims of Rajoub. We must now continue lobbying FIFA to KICK TERRORISM OUT OF FOOTBALL as practised consistently by the Palestinian Football Association and Rajoub. Overwhelming evidence has been presented to FIFA proving the depth of terror propaganda and incitement being conducted in Palestine football at all levels. One of the most obscene examples was the Hilal Al Quds players and officials, who are the current Palestinian football champions, parading a huge colorful banner in front of their adoring fans, displaying the image of a terrorist who had killed two Israelis in Jerusalem. The wording on the banner lauded him as a martyr and hero. This is the equivalent of Chelsea Football Club, the English Premier League champions, parading a banner showing the terrorists who killed people on London Bridge. Had this happened there would be international uproar and harsh sanctions imposed byFIFA, but when Palestinian football teams promote te murder of Jews there is total silence, and a refusal to address the evidence and charges presented to them by the above organisations and the additional letters of protest signed by Israeli terror victims. The One Family terror victims group has joined our lobbying efforts. Another gruesome example of the deadly mix between terror incitement and football was the murder of policewoman, Hadar Cohen. She was killed outside the Damascus Gate in Jerusalem by the captain of the Palestinian Qabatiya football club. It is truly time that FIFA kicks terrorism out of football.